I’m an absolute FIEND when it comes to frozen treats. I especially love ICEES and milkshakes. Chocolate has always been a classic favorite of mine, but I never pass up the chance to try a new flavor. 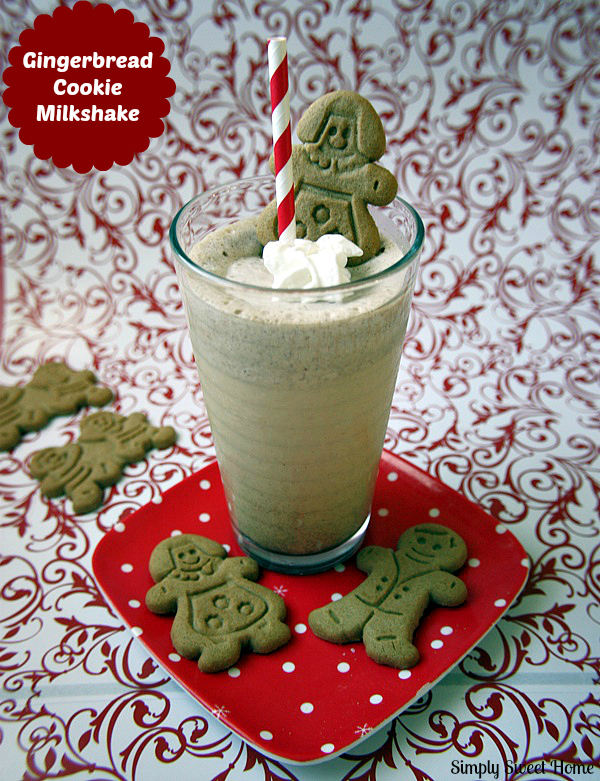 A few years ago around Christmas time, Burger King had a Gingerbread Cookie Milkshake. Oh my goodness! That thing was SO good! Every fall and holiday season I hope they will bring this yummy treat back, but so far I’ve been out of luck! This week we celebrate week 200 of Friday Favorites! Yay! So for this week, I’m featuring something I absolutely LOVE: bread & muffins! Hope you enjoy! I just LOVE gingerbread and gingerbread houses! What could be better than a house made out of candy?!? That’s why I’m very excited to share some gingerbread houses with you this week! And if you love gingerbread as much as I do, please check out my Gingerbread Board on Pinterest, featuring over a hundred gingerbread cookies, houses, ornaments, and more! Hello! Welcome to another edition of Friday Favorites! I’m really enjoying your holiday posts and am happy to be featuring some holiday drinks this week! 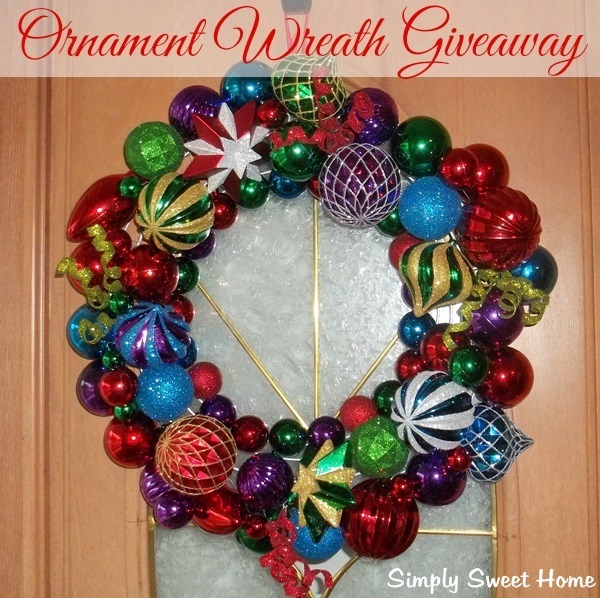 But before we get to this week’s features, I’d like to invite you to enter a couple of my giveaways, which are ending soon. 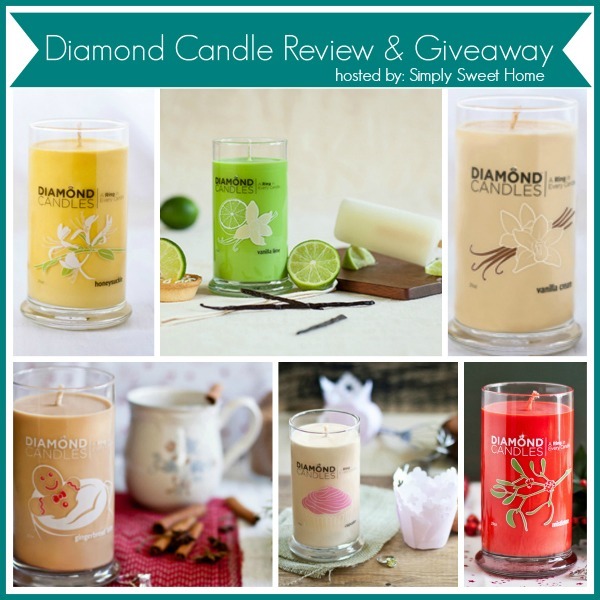 First off, I’m giving away a Diamond Candle, and this was a short giveaway, so it’s a LOW ENTRY giveaway, which means you have a great chance to win! Hi everyone! Welcome to Friday Favorites! It’s so great to see what everyone is making and baking for the holidays, and I know it will only get better from here. This week I’m featuring a few sweet treats that I know you will love! And if you’re looking for more recipes, please check out my blog throughout the holidays, as I’ll have a great group of guest bloggers sharing their holiday treats with us!